Monday, Wednesday, Thursday, Friday 8am to 5pm and Tuesday 8am to 7pm. Cincinnati StoneWorks promises to be your first choice to get the job done right and on time… EVERYTIME. 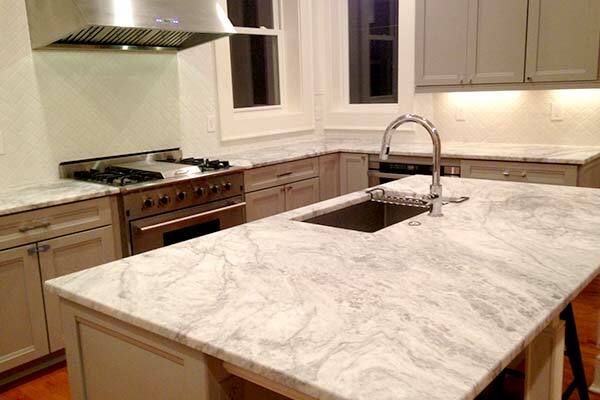 Cincinnati Stoneworks has designers available to help you navigate all the options available for countertops. We stock quartz, granite, quartzite, marble, limestone and soapstone. Each material has its own set of unique properties. We will take the time to review your project and listen to your needs. We can make recommendations for the best materials for the job. We can also provide you with information that may rule out certain materials even though they are widely used in print ads and home improvement shows. It is important to be realistic about where and how the material will be used. We are adding photos as they become available to help you visualize your project. You can also save photos to your iPad or phone and bring them along with you. We recommend a cabinet sample along with any other color options you may be considering. 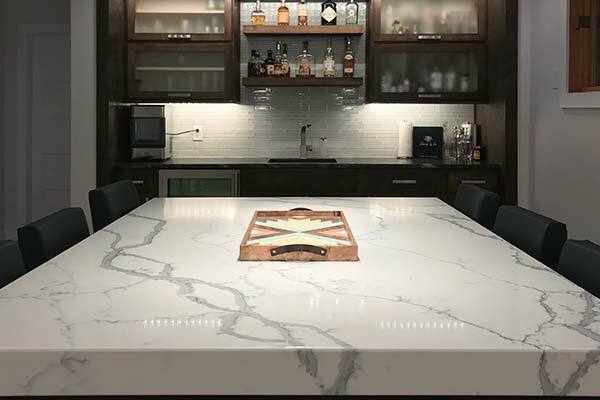 Samples of finishes, edge profiles, sinks, and slabs are all available at our West Chester showroom and fabrication plant.